Pulcina, the brainchild of architect Michele De Lucchi combines technology developed by illycaffè with flawless design by Alessi. Pulcina was born out of intense research into the optimization of the shape of the Coffee pot in order to improve and enhance the properties of coffee. With the shape of its special heater, Pulcina automatically stops filtering the coffee at the right moment. This interruption helps to eliminate the eruption phase, the final filtering stage that generates a burnt and bitter aftertaste, ensuring that only the finest qualities of the coffee are preserved. 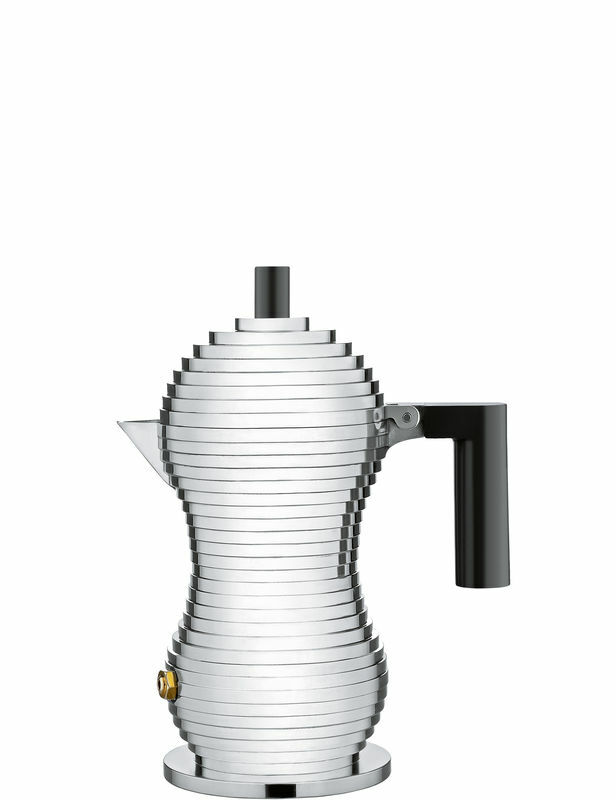 The pronounced ‘V’ shape spout is specially designed to perfectly cut drops when pouring guaranteeing an exceptional cup. Next Post Want To Know What A Coffee Cherry Tastes Like?